Mount Gambier Racing Club is located 439 km south east of Adelaide, Mount Gambier is the jewel of South Australia's south-eastern region. Mount Gambier is one of South Australia’s largest regional centres, known for its unique and ancient landscape of volcanic craters, lakes, limestone and mysterious underground waterways. 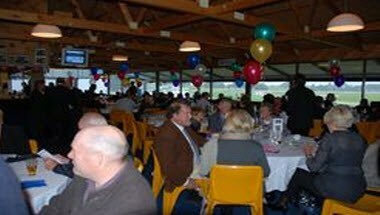 The O’Connor and Graney Function Centre is the heart of the track’s entertainment facilities with a great view of the racecourse. Complete with a bar and kitchen facilities upstairs, and a bar downstairs, the centre can seat more than 200 people in style and cater for a range of functions including weddings, cocktail parties and conferences.